Discussion in 'DPF Auction House' started by summerskin, Jan 31, 2019. I'm going to let Mama Odie inspire me. Has there been a leaderboard yet? Thank you for so many amazing bids. I'm going to be able to make some lanyards to start some kids off even. I already have about 40-50 set aside on my end. I was thinking I'd get like 15-20...you all are so awesome and generous. TheMickeyMouseRules, watzshakinbacon and starry_solo like this. I totally agree. @summerskin, what a great auction you have going here. I'll add 14 more for a total of 54. Just a head's up it's going to be pretty hard to beat this bid. I did some thinking and really love those cards to give to kids. theoucharis, watzshakinbacon and krand1276 like this. 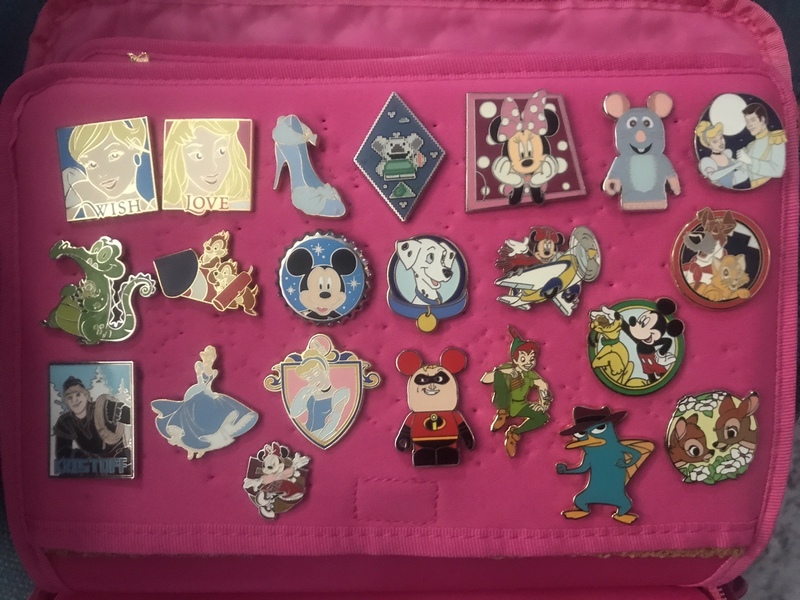 I tried to roughly separate them out by category so you could see how many are princesses, superheroes, Star Wars, etc. All together it should be 65. Let me know if you want close-ups of anything. Here is my bid. I'm aiding to the first bid. 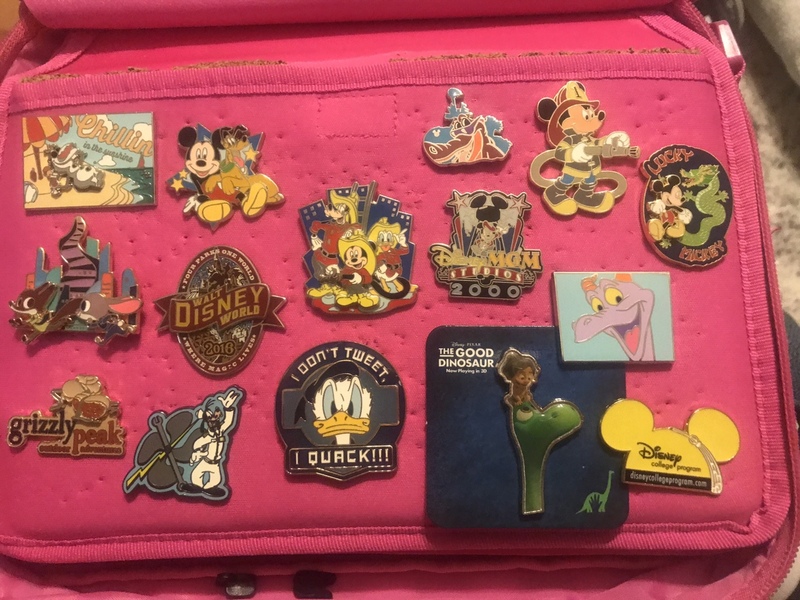 To make it easier to see all the pins, I'm including those two pictures in this post. 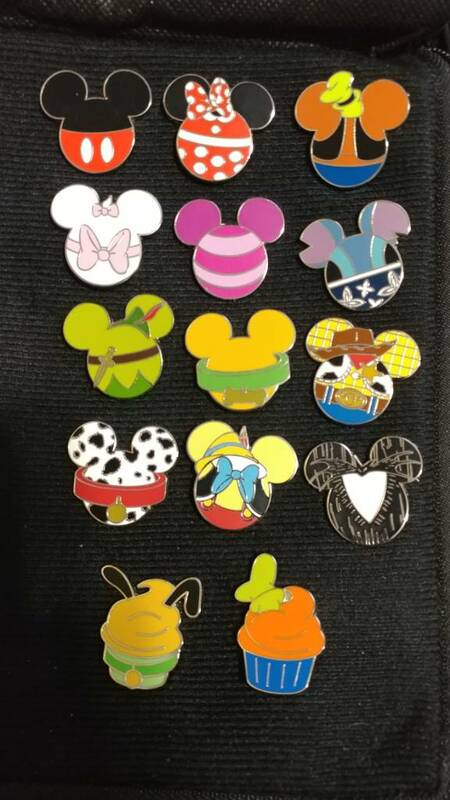 The first bid was 35 pins. 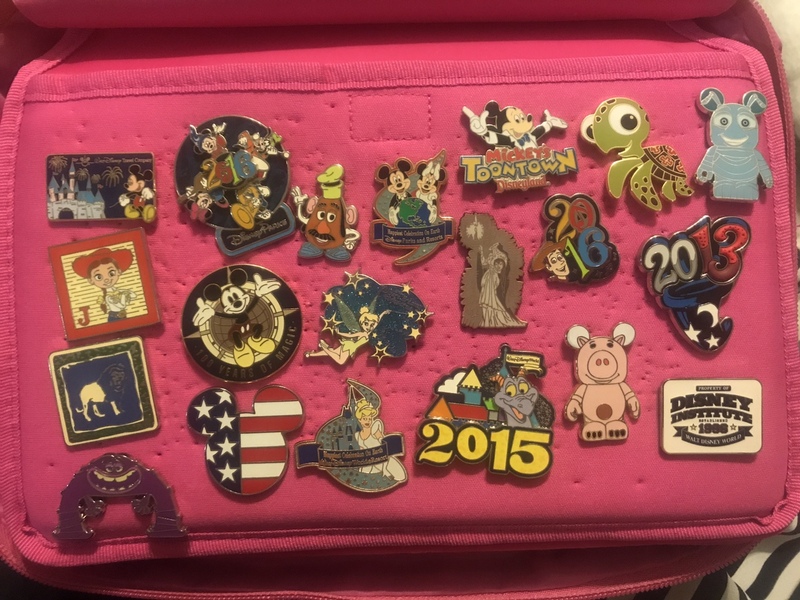 Now for the additional pins. 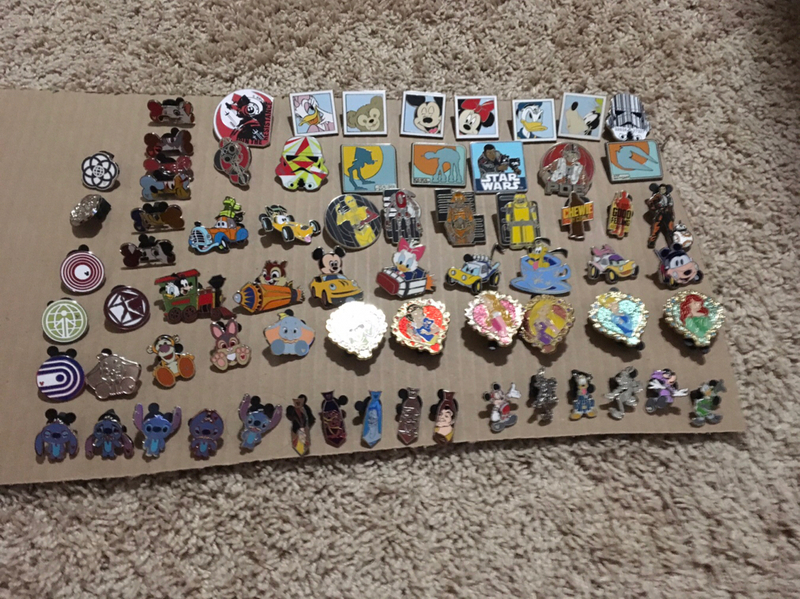 This should be 84 pins. This auction is proving that if scenes are good, people don't care about air bubbles. Honestly, I think all of these PODM's will develop air bubbles over time. 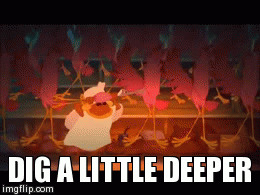 bookhugger, watzshakinbacon, slbrabham and 1 other person like this. Great auction....I might be back, don't think I can beat what you have but will try! Wish I could get it up higher, but I think this is the most I have to offer right now. 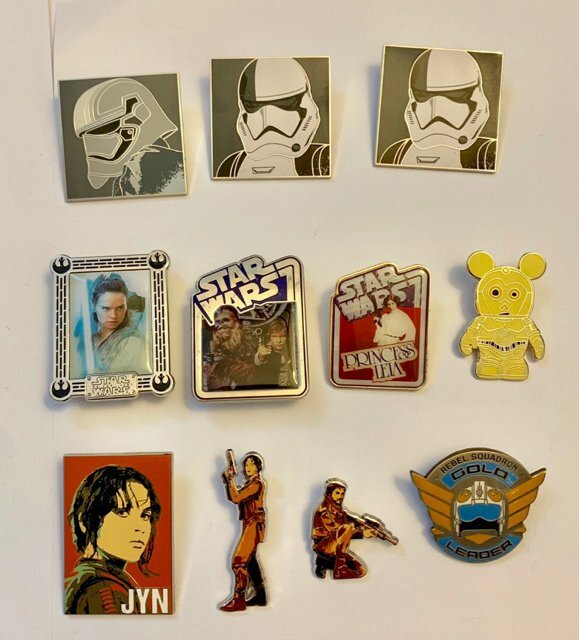 Alright my first auction so I’ll offer the following 70 pins. Wow! What a great auction. Tough competitive field no doubt. 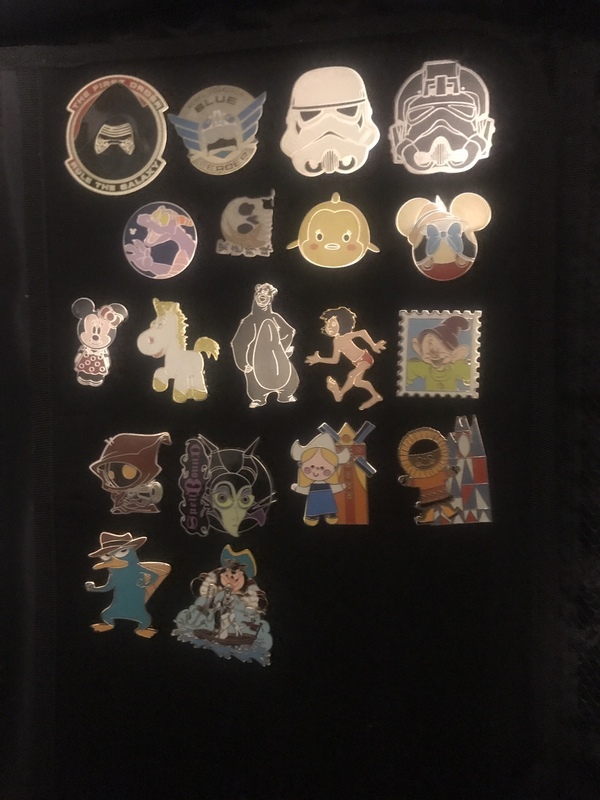 I’ll add additional 30 to my bid for a total of 100 pins. summerskin, watzshakinbacon and bcol like this. Oh wow! I was away form my computer today because of an unexpected work thing but holy cow. You all are amazing. I'm going to try one more time. I'll add to my previous bid. teddy_ruxpin and krand1276 like this. AND right at the wire @slbrabham wins with a whopping 111. I'll send you a message. Holy cow. This auction has left me speechless. I will post the put together lanyards before I go on my trip. 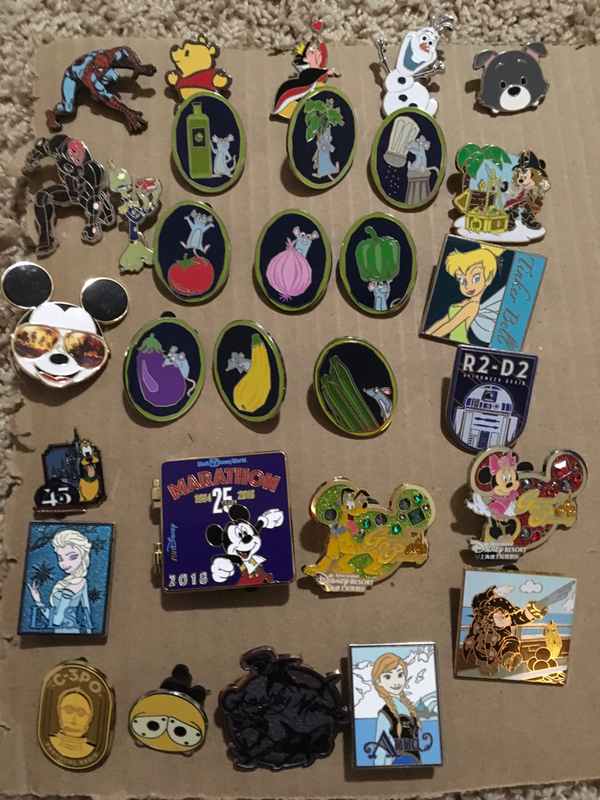 I'll be donating at least 50-60 pins for my own to bring our total to close to 175 pins to give to kids in the parks. 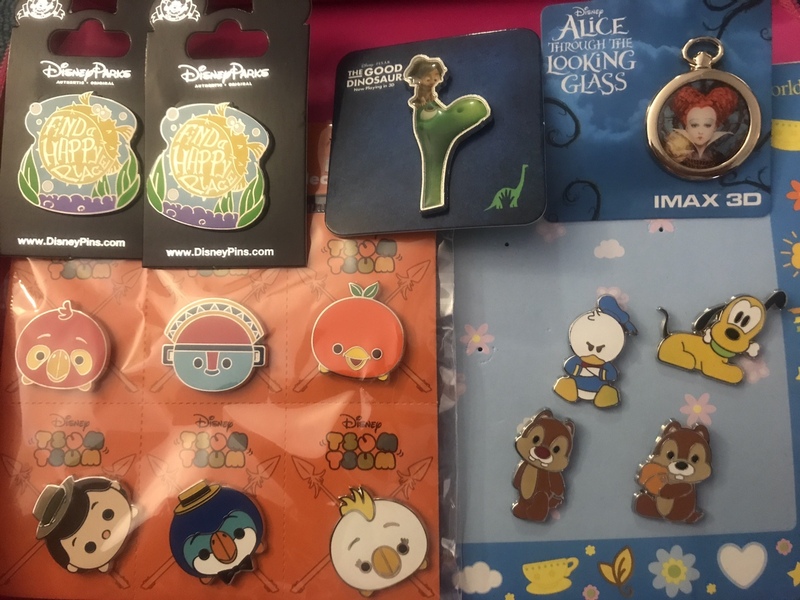 Thank you all for helping me spread a little bit of Disney magic. DDCakes, bookhugger, teddy_ruxpin and 6 others like this. Darn. 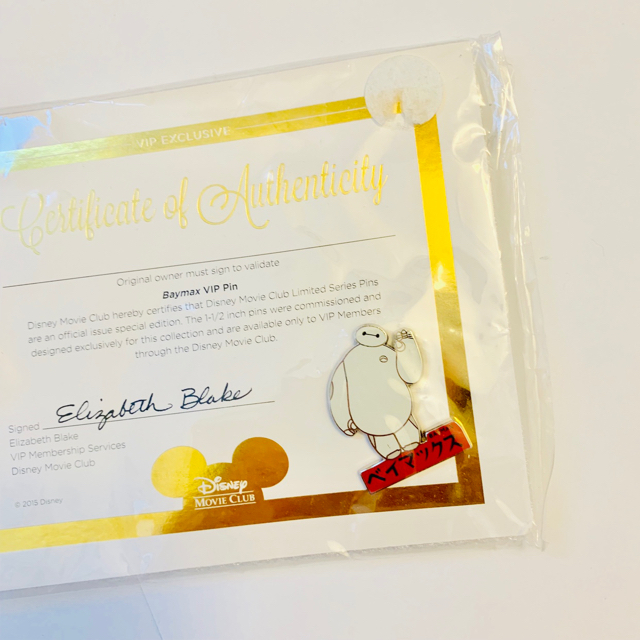 Tapatalk didn't give me any updates on this today, but super excited for you, Sarah! Congrats! This was exciting to watch. 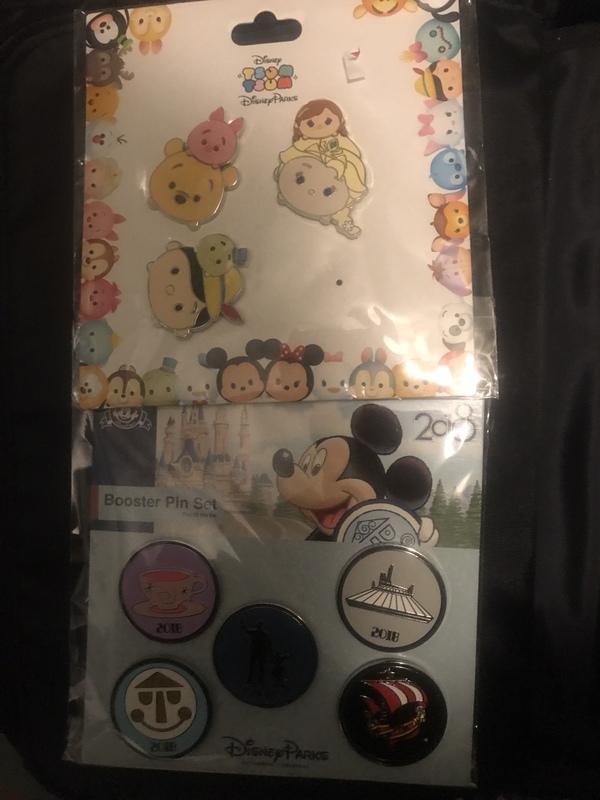 I too give pins to kids at Disney (not at your scale though). To see them surprised and then light up, it's a great feeling. And when parents try to give me money, I cackle. 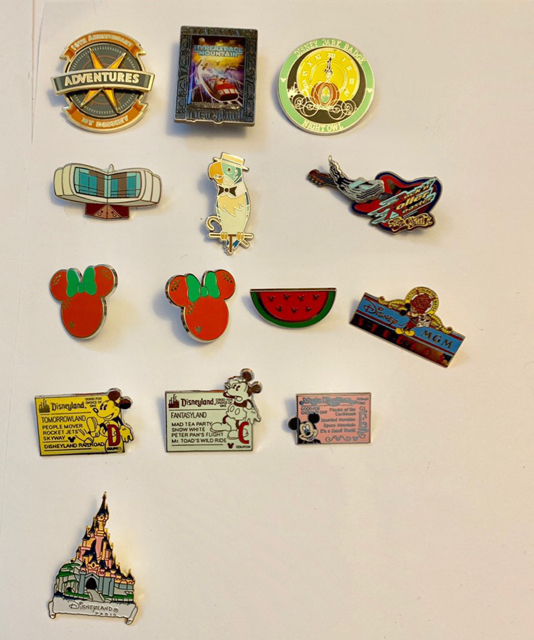 "I don't want money and don't want to trade; I'm giving these pins for free and because I see open spots on their lanyards." Can't wait to see the lanyards you create. Fun auction! And, I have to say... it was much more entertaining than the superbowl. Congrat to @slbrabham for digging deep and pulling out a win as the clock went to zero. slbrabham and watzshakinbacon like this. Wonderful auction. Thanks for the excitement!